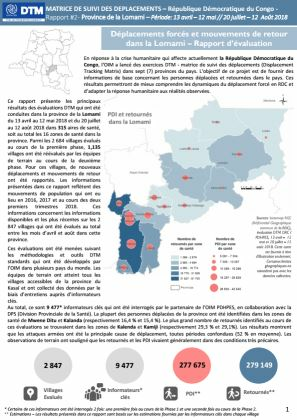 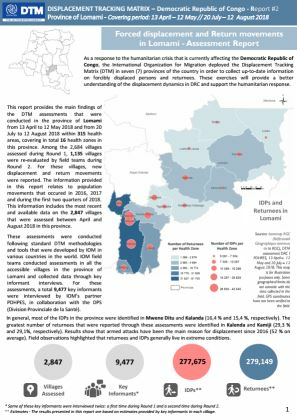 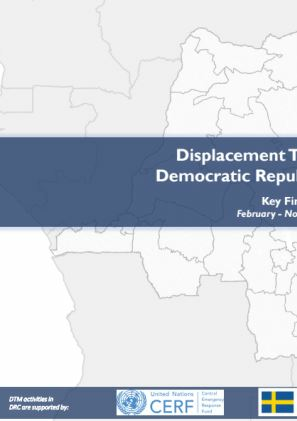 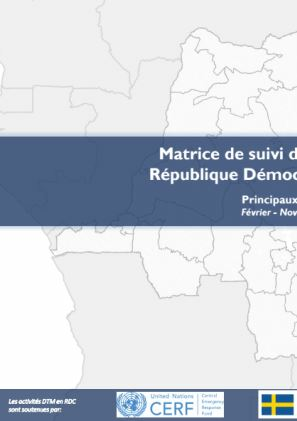 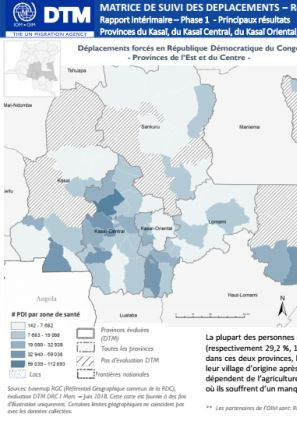 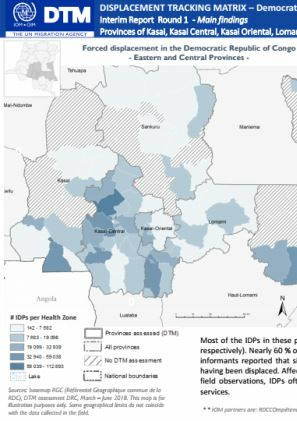 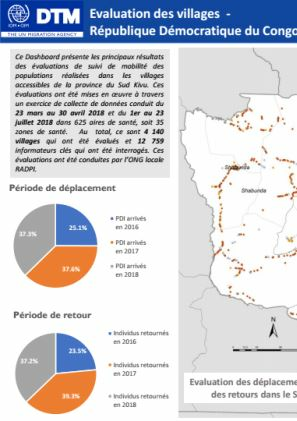 This dashboard provides the main findings of the mobility tracking assessments that were conducted in the province of South Kivu. 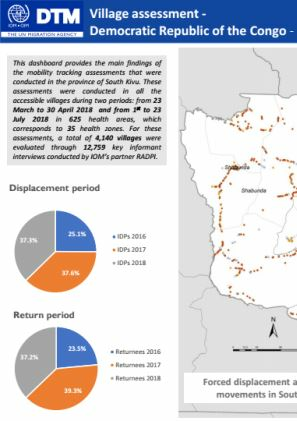 These assessments were conducted in all the accessible villages during two periods: from 23 March to 30 April 2018 and from 1st to 23 July 2018 in 625 health areas, which corresponds to 35 health zones. 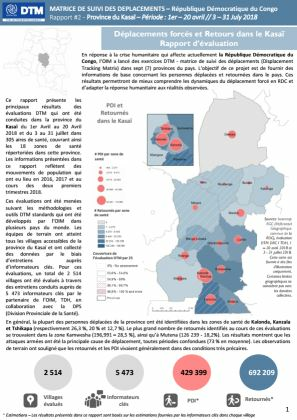 For these assessments, a total of 4,140 villages were evaluated through 12,759 key informant interviews conductedby IOM’s partner RADPI.